Exploring Iranian art in conjunction with the exhibition Sunset Sunrise by Monir Shahroudy Farmanfarmaian we invited London-based curator Vali Mahlouji, founder of Archaeology of the Final Decade (AOTFD), to examine the relationship between revolutions and repression of art and artists tracing the socio-political situations that led to the Iranian Revolution and Islamic Revolution that saw artists of Farmanfarmaian’s generation seek political exile elsewhere. 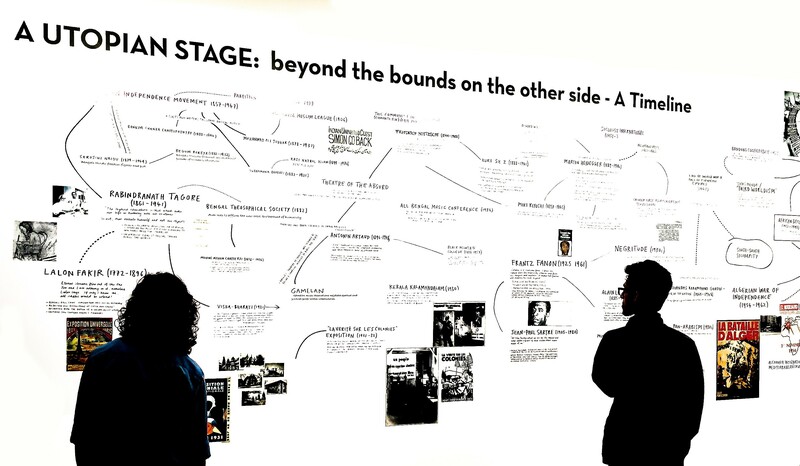 This blog draws on aspects on his ongoing research at the AOTFD and examine Farmanfarmaian’s cosmopolitan, modernizing impulses and undisciplined return to tradition against the background of the cross-cultural, and emphatically transnational histories of art in the 1960s and 1970s. The ‘Sunset, Sunrise’ exhibition was on view at IMMA from 10 August to 25 November 2018. 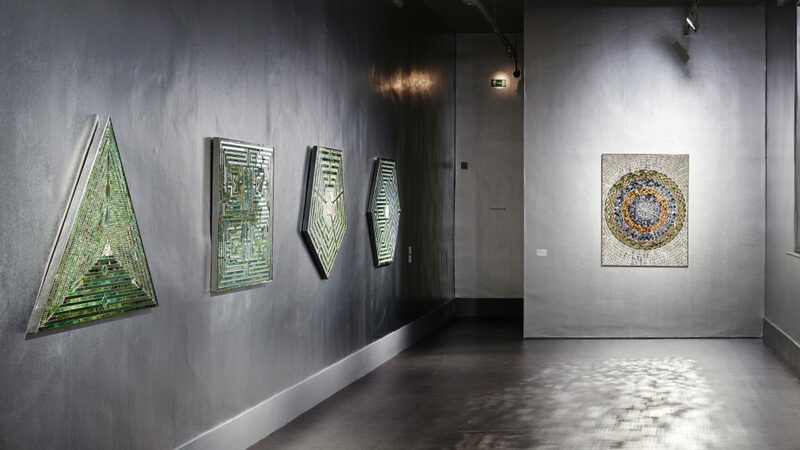 In conjunction with my talk on Monir Shahroudy Farmanfarmaian, this blog draws on aspects of my ongoing research, as relates to the Archaeology of the Final Decade (AOTFD). Founded in 2010, AOTFD is a non-profit research and curatorial platform which investigates and reactivates histories of nations condemned by social displacement, cultural annihilation or deliberate disappearance. Relying on archaeological forensics, AOTFD engages with accounts of culture which have been lost through material destruction, acts of censorship, or be it political, economic or human contingencies. Its core aim is the identification, investigation and re-circulation of significant cultural and artistic materials that would otherwise remain obscure, under-exposed, and endangered. In some instances, the materials that AOTFD engages with, have been banned or purposefully destroyed. See for example AOTFDS’s retrieval of the archives of Festival of Arts, Shiraz-Persepolis. 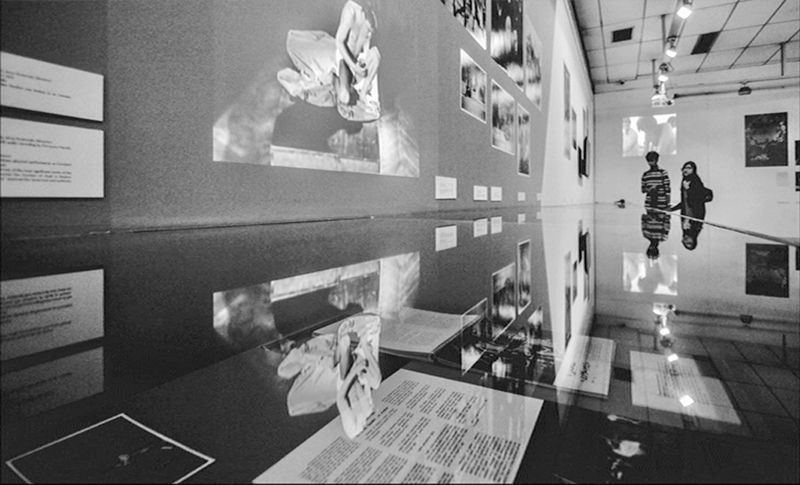 AOTFD’s exhibition of Excavated Archives of Festival of Arts, Shiraz-Persepolis part of A Utopian Stage at Dhaka Art Summit ’18. Courtesy Archaeology of the Final Decade and DAS ’18. The excavation, identification, investigation, reclamation and reactivation of those materials into cultural memory, as a means to counteracting the damages of censorship and historical erasure, are the driving force of the AOTFD project. Far from espousing a fetishist admiration of the singular object, AOTFD treats instead it’s retrieved, side-lined materials as tangible reminders and embodiments of critical cultural and historical shifts that have marked the history of the 20th century. Recirculation and reactivation of those artefacts and materials into cultural memory and the public sphere is deliberately aimed at destabilising imposed or accepted historical narratives. Artistic objects are viewed as supplements that have the power to dismantle coherent, intact or unadulterated accounts of the past. Challenging fixed notions of the ruin and the derelict, AOTFD unfastens objects from sentimental connotations. The aim here, is to excavate and expose the interrelations between the social, geo-political, legislative and psychological contexts that have contributed to an object’s meaning, making and demise. AOTFD is thus intended from the outset, as a gesture of solidarity that works against a neutralizing politics that would accompany a monumentalisation or a nostalgic revisiting to the past. AOTFD’s exhibition of Cultural Atlas part of A Utopian Stage at Dhaka Art Summit ’18. Courtesy Archaeology of the Final Decade and DAS ’18. The platform’s function is premised on the understanding that totalitarian systems of control amputate, and in other words, de-territorialise specifically targeted areas of art and culture (especially by focussing on a readily or easily stigmatised target). Furthermore, that in order to impose monologues across cultural reality, totalising systems always ensure to re – territorialisethose areas of erasure by new and highly organised narratives that are specifically designed to serve the new order of imposition. This is especially demonstrated in the project Recreating the Citadel. To heed the call of the German philosopher Walter Benjamin, who argues for ‘brushing history against the grain’, AOTFD is committed to a constructive re-reading of (art) history from the point of view of the defeated, and the victims. Therefore, AOTFD is committed to combating a tainted view of history transmitted from victor to victor, but instead memorialises those who are the subject of violent erasure. This is predicated on the belief that culture is not a communal space of harmonious existence, but it is rather a conflict filled field of negotiations and interpretations. Art itself, therefore, must be situated in this cultural crossfire, in order to realise its full historical meaning. AOTFD stands, therefore, clearly as an archaeology of silences, of absences, of voids, of repressions and of particular blind spots of history. Its mission is to deliberately break the silence, to leak the repressed material back into consciousness and reinsert the contested artefact and silenced cultural object back into the public sphere. It embarks on missions of destablising, demystifying, contaminating, subverting and militating against fixed historical narratives and amnesias. 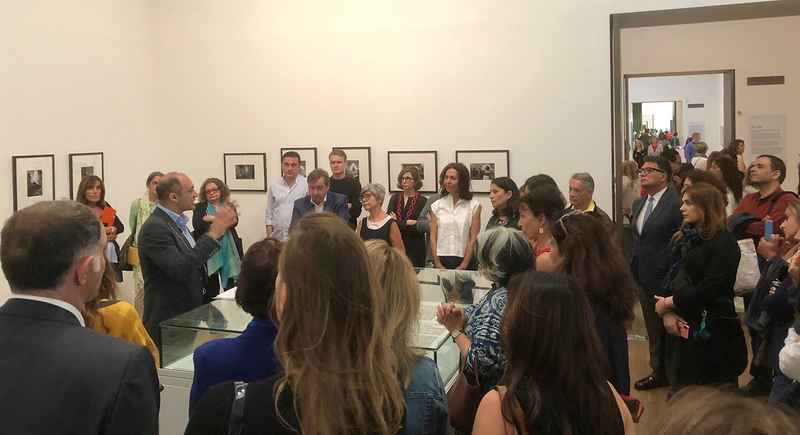 Tate Modern’s Kaveh Golestan room dedicated to AOTFD’s work on recreating the Citadel and Kaveh Golestan’s Prostitute series; I am presenting with Gregor Muir of Tate Modern, July 2018. Over the course of time, it has become clear that those contested objects invariably constitute sites of collective trauma – sites that have endured systemic and prolonged violence and that embody historical trauma. Below their surfaces there lies a rich reservoir of knowledge, ripe for release. Farmanfarmaian’s practice today would not constitute a contested site of culture, and thus does not align with the specific objectives set out by AOTFD. After twenty-six years of exile following the Iranian revolution, the artist returned in Tehran in 2004 with her work receiving broad recognition and eventually institutional support. To better understand Farmanfarmaian’s work, it’s worth considering her cosmopolitan, modernising impulses and undisciplined nativist return to tradition, set against the back drop of cross-cultural, and transnational histories attributed to art developments from the 1960s and 1970s. Both at home and abroad cosmopolitan interactions abounded on a scale that had never existed before. The cultural context that allowed such cosmopolitan interactions, pollinations and imaginations to emerge facilitated a transmission of knowledge in both directions. 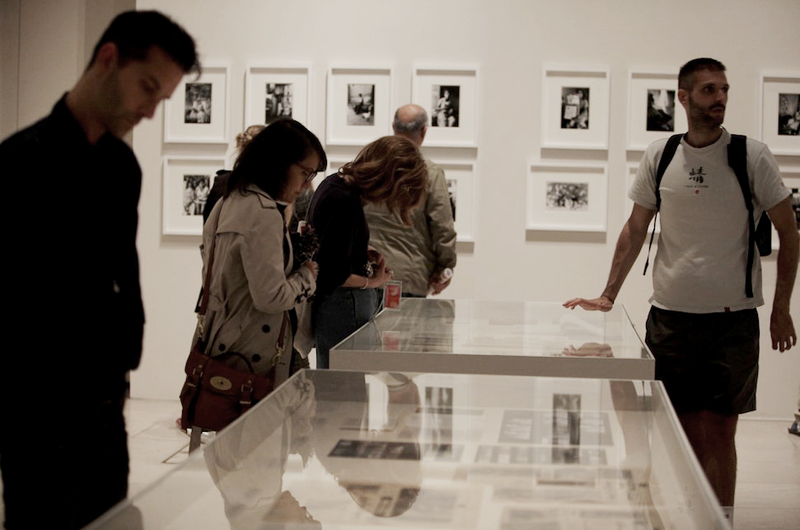 The cosmopolitanisms and cross-cultural transnationalities of the 1960s and 1970s were more cyclical than linear. Farmanfarmaian’s work reminds us of the cosmopolitan climate that was equally responsible for facilitating, in her case, a reverse transmission of knowledge in the 1960s and 1970s from the peripheries to the centres. More broadly and within an international context, Farmanfarmaian’s practice can be juxtaposed and contrasted against a set of prevalent discourses, especially those concerning Op and Pop Art, but also Abstraction, Minimalism and more loosely those of Arte Povera and Participatory art. 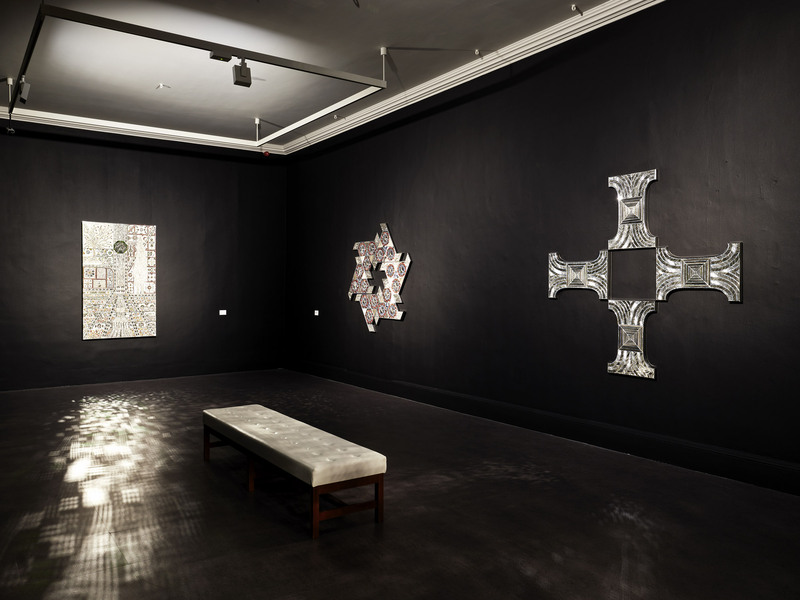 Her insistence on appropriating patterns, ornaments and symbols of Iranian meaning and significance constitutes an infiltration and contamination of the formal structures and disciplines of those distinct approaches. AOTFD’s exhibition Prostitute 75-77 at Photo London 2015, Somerset House, London. Courtesy Archaeology of the Final Decade, Kaveh Golestan Estate and Photo London. The freedom comes however with a clear loss and at the expense of deeper, profoundly spiritual, esoteric experiences and underpinnings and collectively created knowledge handed down from generation to generation. Farmanfarmaian’s visual lexicon of abstraction is at once depleted and freed from inner meaning. In her prolific series of geometric drawings, creating and emphasising hierarchies of shapes that bear little resemblance, and make no exact reference to, the philosophical trajectories of the point, the line, the triangle and so forth confirm the same bastardisation of original order, proportion and harmony and subversion of the rigid, inflexible, unmalleable and infinitely expansive geometries that relate to cosmic laws. Farmanfarmaian’s major exhibition at IMMA, Sunset, Sunrise further provides an opportunity to recognise Farmanfarmaian’s distinctly individual practice, where mutable and unstable works straddle the divides between the sacred and the mundane, high and low, amusement and introspection, the domestic and the sublime, playfully cosmopolitan and subversive at home and abroad. My response is further elaborated in excerpt from my talk ‘Sunset, Sunrise – Mapping Farmanfarmaian’s Significance’ available to listen back to here.